The Glitch Mob will be ending their busy touring summer with an appearance at this year’s Lollapalooza, their second time performing at the festival. To show their appreciation for Lolla, the California three-piece have partnered with Lollapalooza to premiere the first single, “Warrior Concerto”, from their forthcoming We Can Make The World Stop EP. Their new EP will be available on July 12, but you can download the first single free through this link or via the download embedded below. That’s not all, though. 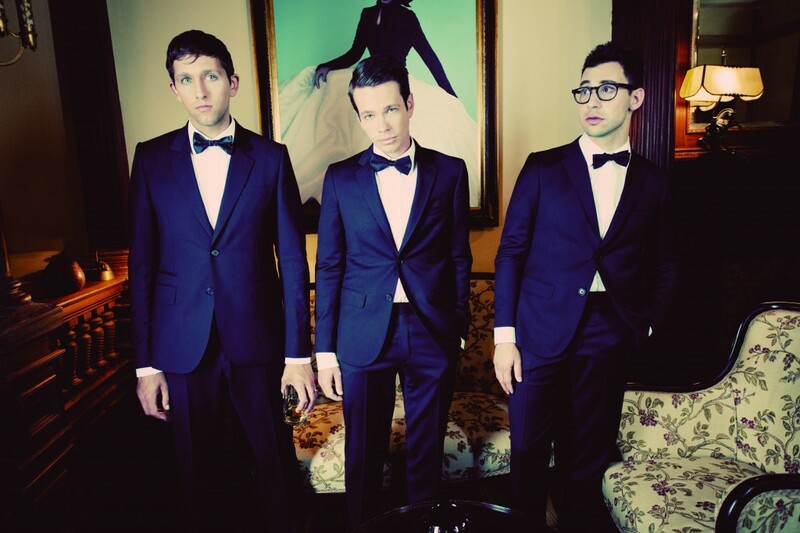 The three dudes will also be giving one lucky fan a merch bundle, a pair of 3-day passes to the already sold out Lollapalooza, and a special spot for two to watch them perform at 7:15PM on Lolla Saturday. Pretty sweet. Bon Iver‘s sophomore release Bon Iver has debuted at number 2 on the Billboard Top 200 Albums chart this week, selling a total of 104,000 copies. Justin Vernon and company were beaten out for the top spot by Jill Scott‘s The Light of the Sun, which managed to sell 135,000 copies. Check out Darcy’s review of the album here. Drake‘s drunk-dial ode “Marvin’s Room” has received the video treatment, with a brand new music video making it’s appearance on Drake’s October’s Very Own blog. With a number of ephemeral shots, the video is a dizzying, hazy, but altogether quite fitting video companion for one of this year’s smoothest songs. Drake’s second studio album Take Care will be released on October 24, 2011. Check out the video below. You might remember Chiddy of Chiddy Bang setting the Guinness World Record for the longest continuous freestyle — 9 hours, 18 minutes, 22 seconds of nonstop rapping — at MTV’s O Music Awards just over a month ago. After finishing his freestyle, Chiddy and Xaphoon took the stage to debut the lead single from their upcoming debut studio album Breakfast (out July 19), an upbeat jam entitled “Mind Your Manners”. The duo recently dropped their newest mixtape Peanut Butter and Swelly, available for download here. We now have the full studio version of the song, which you can stream or download below. Furthermore, if you’re in LA and are interested in auditioning for the music video, more information is available here (shout out to my friend Marc at Mostly Junk Food for the link). The Wonder Years have recently done an acoustic session with Nervous Energies for the new album, Suburbia I’ve Given You All and Now I’m Nothing. You can check out the band play “Local Man Ruins Everything” below. Go to Nervous Energies here to also check out acoustic versions of “Don’t Let Me Cave In” and “Woke Up Older”. Simmerkane II, the first solo release of Dispatch usual-lead-singer and State Radio frontman Chadwick Stokes, hit stores yesterday via Ruff Shod/Nettwerk Records. One of my most anticipated releases of the year, the album is a collection of Chad’s memories and experiences while hopping freight trains across North America and features Carly Simon, Blake Hazard of The Submarines, Matt Embree of RX Bandits, The White Buffalo, and Sierra Leone’s Refugee All Stars. This album will not disappoint fans of Chad’s past work, staying true to his folky-rock, Americana roots. You can listen for yourself below, courtesy of Nettwerk Records. You can also check out Chad’s solo tour dates for the fall, giving the singer-songwriter some time off following recent tours with both State Radio and Dispatch. For those of you unfamiliar with his discography, both Dispatch and State Radio are well-known for their live jam sessions, improvising and soloing throughout; Chad’s solo show should be no different and should definitely be checked out. Ten years ago, Arizona alternative rock band Jimmy Eat World released their critically-acclaimed Bleed American. To celebrate, the band has decided to perform the album in its entirety on September 29th at the Wiltern Theatre in Los Angeles. Pre-sale tickets will be available on July 28th, with the public sale beginning on the 30th. When the band decided to play both Bleed American and Clarity back to back at London’s Forum, the band sold out both shows – a feat not entirely surprising for a forefront of the emo and alt-rock movements. 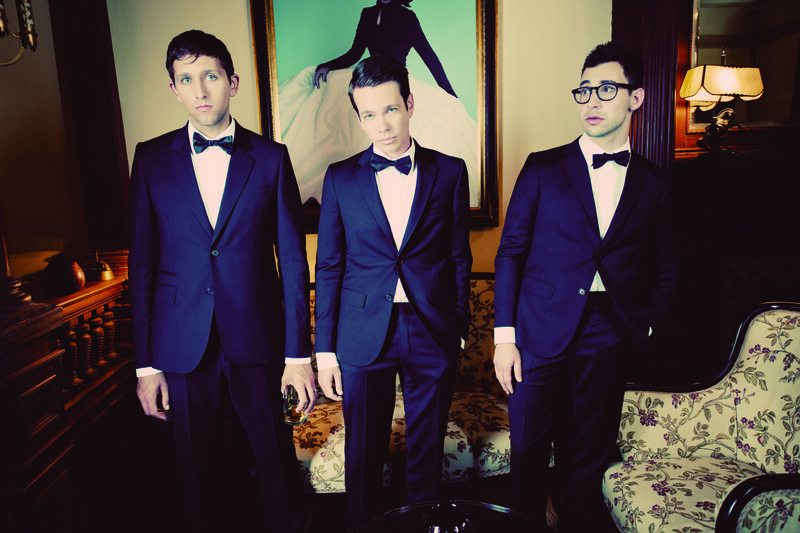 Their latest album, 2010’s Invented, was rated highly (read our review here) and was just 500 sales shy of becoming the band’s third album to debut in the top ten. You can check out more of Jimmy Eat World’s 2011 tour dates below. Bon Iver’s debut effort For Emma, Forever Ago was an outpouring of emotional tumult cast against the backdrop of a Wisconsin log cabin and not-yet forgotten heartbreak. Surrealist lyrics meandered through and around softly strummed guitar by way of a subdued falsetto, and as enigmatic front man Justin Vernon laid his miseries bare it was both intimate and understandable. Four years on, and in their sophomore album Bon Iverthe American indie-folk ensemble have realized a sound that is superficially a bold step away from Vernon’s earnestly raw beginnings. The log cabin is out of the picture, and Emma never mentioned. These two formative mainstays of For Emmahave been abandoned entirely, and in their place what remains is the question as to whether its’ follow up retains a similar sense of sincerity. Ultimately, writing critically about the ardor of this record is a conflicting undertaking, and stirs in the reviewer an inalienable sense of indecency. There is an emotional unrestraint to Vernon’s lyrics that makes any commentary feel facile – as if one were mentioning a subject-verb disagreement in a suicide note, or a poorly constructed metaphor in a wedding vow. These all seem so deeply personal and emotionally charged that perhaps fixating on trifling matters such as lucidity just isn’t decorum. The meanings of these songs are derived holistically – on their own, the lyrics oftentimes seem like gibberish and are possibly intentionally alien to a casual listener – and only after concerted effort. Very few listeners will be able to initially listen to “Calgary” and immediately glean that it is an ode to love between two people – who haven’t yet met. Once you realize this (which for this reviewer took all of four listens) not only does it seem beautiful, but it makes sense, too. So is the record as honest as its predecessor? I would suppose that it probably isn’t, but therein lies the hidden difficulty of this record: who are we to judge the authenticity of something so obviously individual? What can be said is that it has lost a sense of commonality that defined For Emma. In Emma, there was a prevalent sense of desperation that shone through the Vernon-specific subject matter simply because it was so relatable. 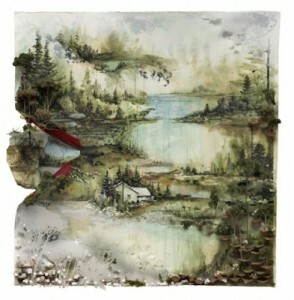 Bon Iver falters here – the album is thematically incongruent. “Perth”, a “civil war heavy metal” piece is followed by “Minnesota, WI”, a declaration of strength following saying goodbye. This trend of dissimilarity is continued across the album and it is less connective as a result. Where the album truly excels is in its impeccable arrangement, and the sheer technical skill that was less pronounced on For Emma. Their debut was economically constructed and at times sparse, whereas Bon Iveris a work of maximalist near-perfection. Whether this is as a result of Vernon’s continued collaboration with the egomaniacal Kanye West or the inclusion of new band members Mike Noyce, S. Carey (of solo fame) and Matthew McCaughan is unclear, but regardless there is an obvious musical confidence to the album. Consider the oft-discussed “Beth/Rest” – a superficially comical track that treads on the musical DMZ of early-eighties, Richie-esque love ballads but, perplexingly, pulls it off. Very few artists would voluntarily include a church organ in their album’s closer, but Bon Iver has and the result is a track that is both soaring and tender not in spite, but rather because, of the unorthodox arrangement. The similarities between Vernon and his frequent collaborator ‘Ye end here, though – where Kanye’s confidence extends into arrogance, there are no pretentions in Bon Iver’s work. Consider Vernon’s mournfully trill on “Holocene”, “at once I knew / I was not magnificent”: the persona presented throughout this album is immediately human and moreover likeable. This serves to imbue the record with a unassailable imperative to listen, just listen, and appreciate. Bon Iver is as lovely, dark and deep as the woods of Vernon’s Midwestern hometown. It is a confusing and touching record, and consistently defies interpretation. It may be less relatable than For Emma, Forever Ago, but don’t let this belie the fact that this is a transformative album. Substantial, buoyant, staunch – Bon Iver’sBon Iver is, at least in this reviewer’s opinion, the best album of the year so far.